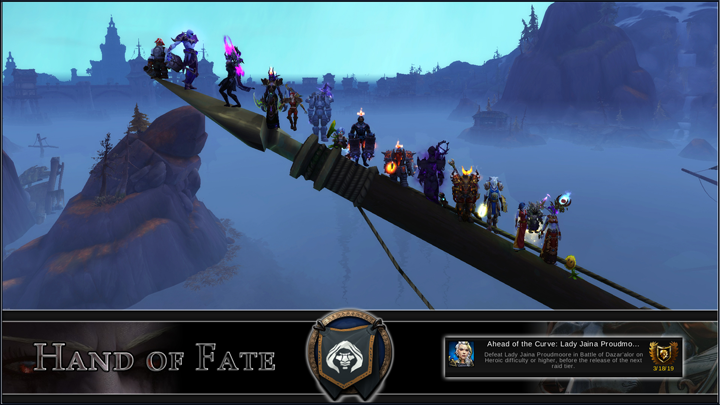 Hand of Fate is a community of players who simply enjoy gaming as a hobby. Some of us enjoy it to more extremes than others but, at the end of the day, we're a family of people from all over the globe that comes together every so often to enjoy a common hobby: collecting epic loot! Our main title here is World of Warcraft. Check around the website for specific information, get to know us, and join our Discord should you have any questions about joining! Heroic Dazar'alor & It's Glory! 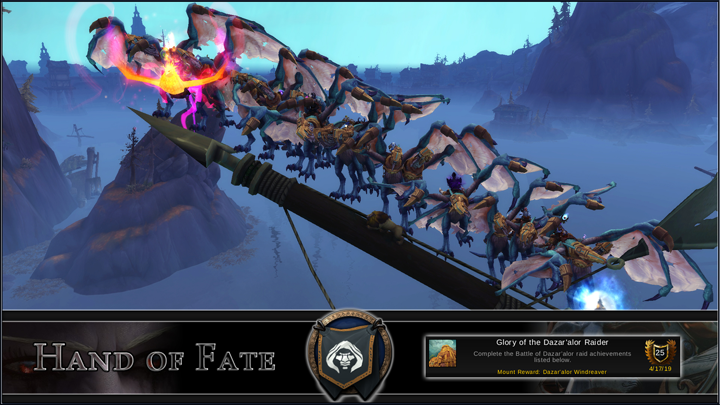 Well it's that time again, folks: we've managed to successfully clean up another raid zone! This time around we managed kill a gorilla raised from the dead, took too many golden showers, got to play with some robots and finally got to build a snowman with Elsa! Along the way we had our fun, struggles, and good laughs. Great job to everyone involved all around! Congratulations! 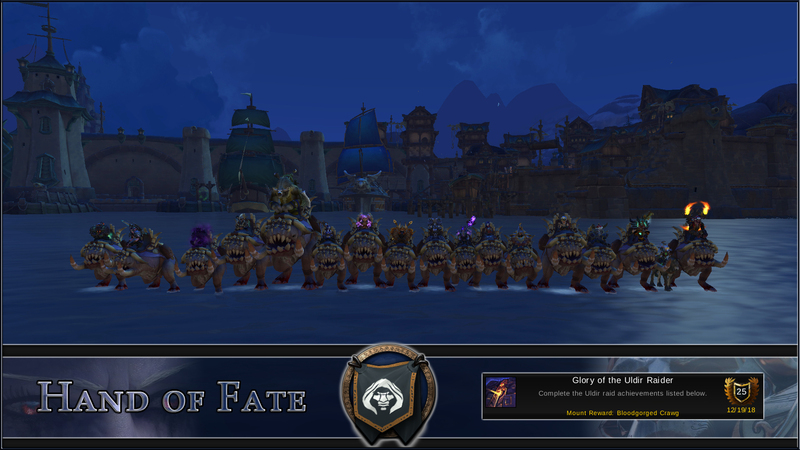 Glory of the Uldir Raider! Congratulations, team! 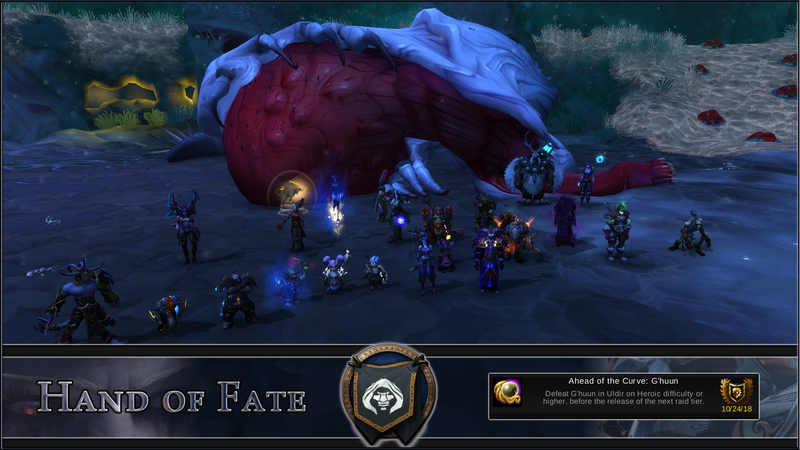 Another set of achievements cleared from the raid zone and we are all now proud owners of a Bloodgorged Crawg! Don't worry; he's your friend now. He won't bite you. Maybe. Just stay away from his mouth and you should be good! Uldir Progress! 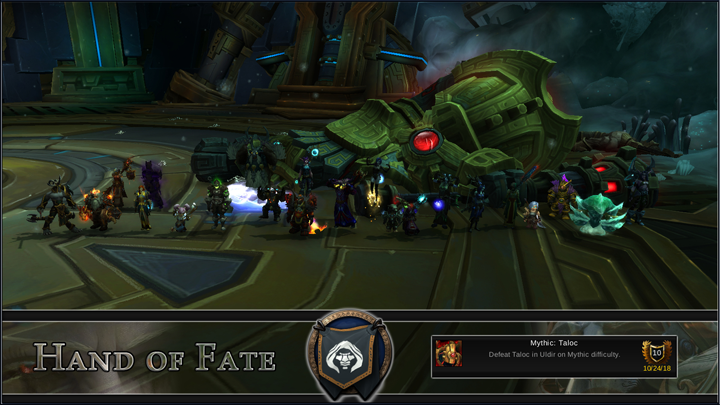 Heroic G'huun / Mythic Taloc! Congratulations, folks! This past week we cleaned up Heroic Uldir by killing G'huun and continued our progression into Mythic by taking down Taloc! Well done!